Not Knowing This Could Cost You! Hypnosis is being used successfully in Gainesville FL to help people lose weight, stop smoking, sleep better, and lose their fears and anxieties. However, there are some important things you need to know before you invest your money in working with a hypnotist. Not knowing them could cost you in time and money! The first thing to know is that there are no national standards that any hypnotist has to meet in order to call themselves a “certified hypnotist.” In fact, just about anyone can declare themselves as one. 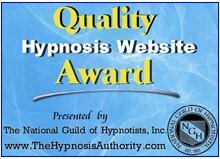 Another issue that requires careful scrutiny is when a hypnotist in Gainsesville or elsewhere claims to “guarantee” the results of their work. The implication is of course that all you, the client, has to do is turn up and either you will achieve success or get your money back. Time to read the small print first. I have yet to find a guarantee that allows you to do just that. Typically, the guarantee will allow you to return for (a limited) number of repeat sessions. In such a situation the client tires of doing the same thing without getting the desired results and just drops out. When you think about it, a genuine guarantee can not be made by the hypnotists because he or she can not control the behavior of the client. Will the client follow the instructions given by the hypnotist, do they really want to make the change themselves or are they just coming to please a spouse or doctor etc.? There is now some real help for people looking for a good hypnotist in Gainesville. 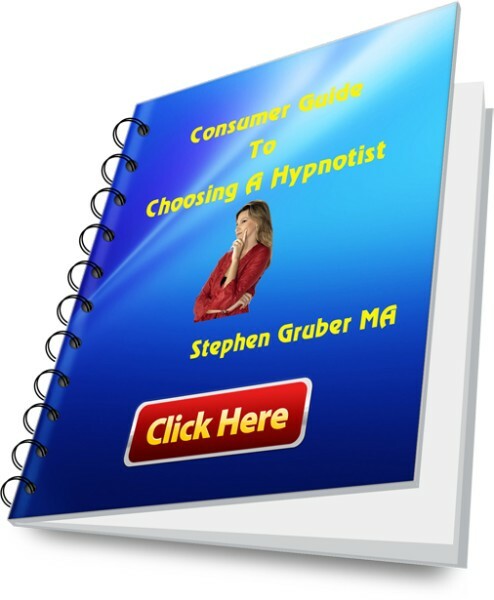 A consumer guide on How to Choose a Hypnotist is now freely available on this web site. The guide is based on the years of experience that Stephen Gruber, MA has had as a successful hypnotist at the Queen Elizabeth Complex in Montreal. Over 12 key questions are presented in the guide that you will want to ask a potential hypnotist before deciding to invest in them or not. Also included is help to interpret the answers that you may well receive to these questions. You may read the free consumber guide by clicking here. Use it to help you make sure you are getting the best when it comes to using hypnosis in Gainesville.